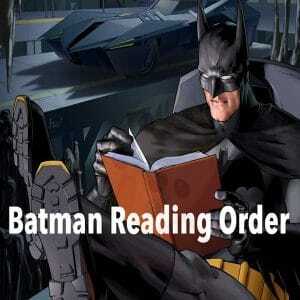 Batman: Gothic is a classic gang crime novel where Bruce Wayne’s past comes to haunt Gotham. 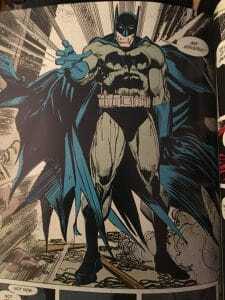 Batman: Gothic is a 1990 storyline which ran during the Legends of the Dark Knight series. Written by Grant Morrison and drawn by Klaus Jansen it describes a period during some of Bruce Wayne’s early days as Batman where a lesser known event during his childhood comes back to Gotham. It is what I would class as a ‘crime storyline’ where the antagonists are not really supervillians. you, yourself don’t know what’s going on and I was unable to guess either. Gothic, to me, was a diamond in the rough. I purchased it cheaply from Forbidden Planet brand new for, if I remember right, just £3. It’s fairly short with only 5 issues inside (Legends of the Dark Knight #6-#10). It’s got pretty solid reviews online and I can see why. The plot line has plenty of intrigue included with Bruce Wayne’s nightmare visions, the mob getting picked off one by one and of course the identity and motives of the lesser know villain Mr. Whisper. 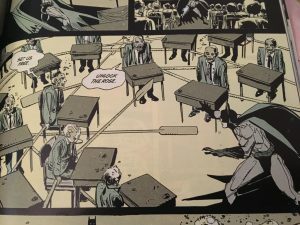 During the course of the book Batman: Gothic as the name suggests gets quite dark – a particular section of the book which revisits a version of events from an Austrian monk suggests a series of rapes occurring at a monastery – not your typical storyline in modern day Batman books. Never does it go too far though, the book, although touches on dark subjects does restrain itself and stops short of being so dark that it defines the book. en hints that characters had either a direct or indirect on Bruce Wayne’s tragic past – without going into too much detail. The artwork in Gothic is as you’d expect of a book drawn in 1990 – not bursting with colour and not too much detail in facial expressions and background – did it blow me away? no. Did it fit the storyline? Hell yes. Having started reading Batman books in the late 10’s and having amassed a fair few modern books before going backwards in time to the likes of Gothic I usually cross my fingers that the artwork is somewhat modern but in the case of Gothic I did not care. The storyline was so strong that I was easily able to get over some of the dated drawings. Batman: Gothic is an absolute gem of a book. The storyline is deep, touches on dark subjects and delivers a plot line which will keep you gripped from start to finish. If you’re after modern artwork in your books or a latecomer to the graphic novel game like me please don’t rob yourself of the experience that Batman: Gothic is.